Over the course of the last year or so you might have heard about an ongoing legal dispute between virtual reality giant Oculus and game publisher Zenimax, but this week the case will come to a head as it moves to a public trial. The two companies are currently embattled in a massive lawsuit, but with so many moving parts we'll forgive you for not knowing all the ins and outs. So we're going to break it down for you. The case, currently being heard in a Texas court, sees Zenimax accusing Oculus VR of stealing trade secrets for its virtual reality ambitions. Oculus is now owned by Facebook, of course, which will be defending Oculus and trying to prove it didn't knowingly acquire stolen technology when it bought Oculus VR in 2014. Like we said, there's a lot going on here. We'll explain all, with a little help from a legal expert. Back in 2014 game publisher Zenimax Media accused Oculus VR of stealing technology for its virtual reality headset, the Rift. The company claimed that John Carmack, who worked under Zenimax at developer Id Software, helped Palmer Luckey create the Oculus Rift using intellectual property that was legally Zenimax's. At the time of the initial allegations, Oculus responded that the allegations were false and that no intellectual property had been carried over from Zenimax. Carmack did indeed begin exploring virtual reality in 2012 while at Zenimax and stumbled across Luckey on an online message board, at which point the two began their friendship; this is no secret. They then went on to create a tech demo of Doom 3 running in virtual reality. Zenimax claims that, while employed by the company, Carmack and other employees helped transform the Rift with Luckey - which it says was a very crude bit of kit beforehand - which then helped Oculus secure investors and eventually get bought by Facebook. ZeniMax also claims that when Carmack left to work for Oculus he poached Id employees with ZeniMax's know-how. Are VR headsets really safe for kids? "Luckey lacked the expertise, knowledge, training or resources to develop VR technology, and did not know how to create software needed for a VR presentation," read the complaint. Zenimax claims that the story of Palmer building the Rift in his parents' garage was fabricated, and that it, in fact, was largely responsible for helping it get off the ground. As you can see, these are pretty big claims. Not only is Zenimax accusing Carmack of using its intellectual property to help make the Rift a success, but it updated its case in 2016 to claim that he "secretly and illegally copied thousands of documents containing ZeniMax's intellectual property from his computer at ZeniMax to a USB storage device which he wrongfully took with him to Oculus". In the same complaint, ZeniMax said Carmack had later returned to take a "customised tool" for virtual reality that he had developed alongside other ZeniMax staff. Carmack has continued to deny that any of the code he used for the Rift belonged to Zenimax, while Facebook also says the claims are without merit and will be fighting in court to prove there were no wrongdoings. In his initial testimony, Carmack said the code he wrote at Id had been rewritten since he left, and that the original code wouldn't work in the headset today. Carmack explained that, initially, Zenimax was looking to share its source code with Oculus in exchange for compensation, but these negotiations fell apart and Carmack was asked by Zenimax to move his attention away from VR - which then prompted him to leave the company and join Oculus as its CTO. During the opening remarks on 10 January, a lawyer representing Zenimax called the acquisition "one of the biggest technology heists ever". Zuckerberg, Luckey and Oculus CEO Brendan Iribe have all made an appearance so far. There have been a lot of dates, figures and technical nuances, but we have learned a few things already. First, on top of the $2 billion Facebook paid for Oculus, Zuckerberg reportedly said in court that there was an additional billion spent to keep key employees and for targets. So, it was actually $3bn in the end. In court, Zuck defended Oculus and denied any knowledge of Carmack or Luckey violating their contracts in the acquisition. He also announced that Facebook is planning to spend another $3bn over the next decade to get VR where it needs to be. Luckey, according to Gizmodo, had a slightly more turbulent day in court, partaking in a heated exchange with a ZeniMax lawyer over the technicalities of the NDA he signed with ZeniMax in order to see Carmack's work. In Iribe's testimony we learned that in 2012 ZeniMax was seeking 15% equity in Oculus for letting Carmack remain in a technical advisor role, but instead it was offered 2%. This is what led to the deal falling apart. Oh, and we also learned that the codename Facebook gave the Oculus acquisition was 'Project Inception'. We presume Zuckerberg had only just around the seeing the movie. "This is a major case, and it really strikes at the heart of Facebook's virtual reality initiative," Michael Zachary, partner and intellectual property litigation lawyer at Andrews Kurth Kenyon LLP, told Wareable. Zenimax is seeking $2 billion in damages here, but does not seem to be looking for an injunction - yet. However Zachary pointed out that, on top of the claims against Oculus stealing intellectual property, Facebook may be exposed to claims for trade secret misappropriation if found guilty of knowingly acquiring stolen property. "If it is proved that Facebook had reason to know that the information that was allegedly a trade secret was in fact a trade secret, it faces independent exposure for trade secret misappropriation, and that can potentially result in a damages award against Facebook as well as punitive damages." Then there's Zenimax's allegation that Oculus destroyed evidence to cover up that it stole elements for the headset. "There's a principle of law called spoliation which is a fancy way of saying the evidence was destroyed," said Zachary. It's likely that more will be revealed around this accusation of destroying evidence in the coming days and weeks - remember, a lot is still under wraps - but Zachary added: "That argument or contention comes up from time to time, and in that case if it can be proved that evidence was destroyed the jury can draw an adverse inference from that, in effect taking the place of or satisfying the burden of proof of Zenimax. "The jury would be entitled to draw an inference that whatever was destroyed would have been harmful to Oculus's case." Everybody. Mark Zuckerberg will be in court on 17 January to testify that Facebook did not knowingly buy stolen technology, Oculus has confirmed. Interestingly, Oculus VR founder Palmer Luckey will also be showing up later in the week. Since it was revealed that Luckey was apparently secretly funding anti-Hillary Clinton meme group Nimble America last September, Palmer has seemingly vanished, not even showing up at Oculus Connect. But given that he's such an important part of this legal puzzle, there was obviously no escaping this public appearance. Oculus CEO Brendan Iribe will also appear in the court this week, while Carmack will be back on 19 January to resume his testimony. What happens if Zenimax wins? 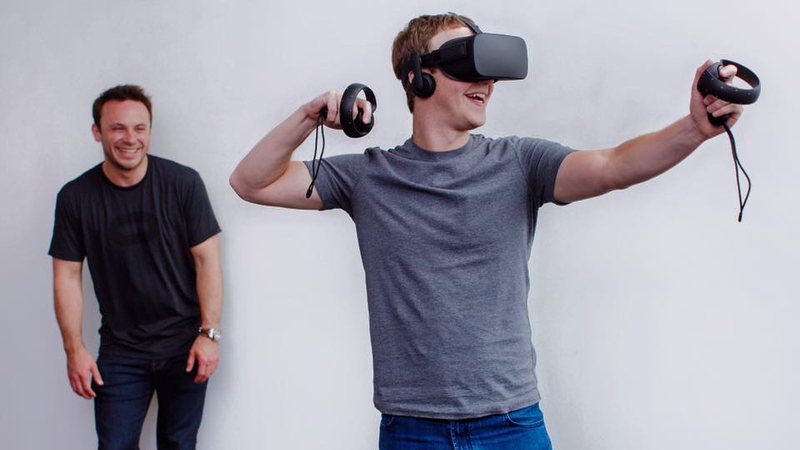 ZeniMax is seeking a total of $2 billion in damages, which is what Facebook paid for the virtual reality company back in 2014. It's certainly not a sum to be sniffed at. "I think you can certainly say this a very large case," said Zachary. While Facebook should have no problem taking the financial blow, there may be further repercussions if it's proven to have knowingly acquired stolen property. It would also be a significant hit on Oculus's reputation, of course. The company is already facing a lot of bad PR right now in light of Palmer Luckey's meme fiasco, and this would only serve to further damage the company's image. If Facebook and Oculus win, then it's back to business as usual. But perhaps above all - win or lose - it's not great for this cloud to be lingering over an industry that's meant to be filled with excitement and hope right now. Let's hope it doesn't drag out for too much longer.